Ohio LCL shipping (less-than-container-load) makes the most sense for many small business owners requiring lower-volume, time-sensitive freight shipments that won’t fit in an entire ocean container, but would cost too much to send by air freight. 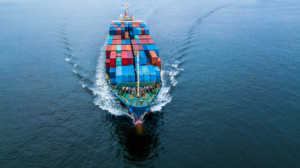 A full container load, or FCL shipping, is when a cargo shipping container’s space capacity is maxed-out. Although large corporations often have no problem regularly filling entire shipping containers, smaller companies may rely on international trade or products, but don’t do the same kind of volume needed to fill a whole space. LCL shipping allows both the space and cost to be shared, so you aren’t stuck footing the bill for an entire full container load you don’t need. If container freight cargo shipping is something your Cleveland company is exploring, On Time Delivery & Warehouse third-party logistics professionals can assist in mapping a supply chain cost-benefit analysis and determining which method makes the most sense. Implementing that plan is also seamless, with our own committed Container Freight Station and Customs Exam site and established import/export procedures already in place. No matter what size your business, reducing unnecessary supply chain costs can result in a significant savings – assuming you can accurately identify and efficiently address the weak links. Anyone who works in Cleveland supply chain management service knows that all for-profit companies are going to incur a “cost to serve.” But is your company’s “cost to serve” reasonable? Can you lower it without risking a major blow to quality or customer satisfaction? The answer will depend a lot on the type of product or service you provide. For example, let’s say your Cleveland supply chain involves the packaging and delivery of building products to construction sites. Not only are you managing a complex schedule thanks to the heavy equipment and various contractors involved – your deliveries MUST be precise and on time. Certain materials like mixed cement can be totally wasted if there aren’t workers on site. If elements like weather are consistently a problem in one region, you may need to consider whether you can re-route around that area altogether. If you are in the grocery or restaurant industry, it will be critical that your deliverables be properly packaged, sometimes limited to one product-per-pallet and that delivery dates and times are accurate to the minute – otherwise the shipment could be unusable. Understanding not just your industry but also your customer base is priority No. 1. You need to be able to serve their needs, but also make sure the cost of doing so is still sensible. One analysis in the International Journal of Production Economics found in supply chain cost reviews by 30 companies in 10 different industries, most were falling short when it came to the estimated standard supply chain cost compared to actual cost. One of the best ways to cut your Cleveland supply chain costs is to work with a dedicated third-party logistics partner. On Time Delivery & Warehouse 3PL providers can help you better pinpoint what exactly in your chain of supply is causing you the biggest headaches and cost bleed-out. Despite wide variances between industries and companies, there are a few supply chain our third-party logistics professionals have seen consistently cause problems. 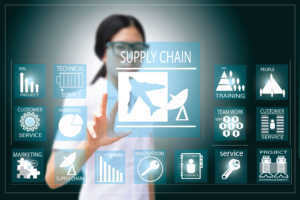 If any of these issues sound familiar (or you’re having trouble identifying exactly which supply chain loophole is costing you most or what to do about it), a third-party supply chain management team can be an invaluable resource.